Romantic retreats come in all shapes and sizes, but truly there’s nothing better than toasting your sweetheart as you both enjoy a magical sunset on the rugged Northern California coast. Picture it — the waves crash against the rocks, there’s a slight breeze in the air, and the sun slips slowly beneath the colorful horizon. What could be more perfect? And although this idyllic moment may seem like something that can only be created on a Hollywood soundstage, truly it’s well within your reach. 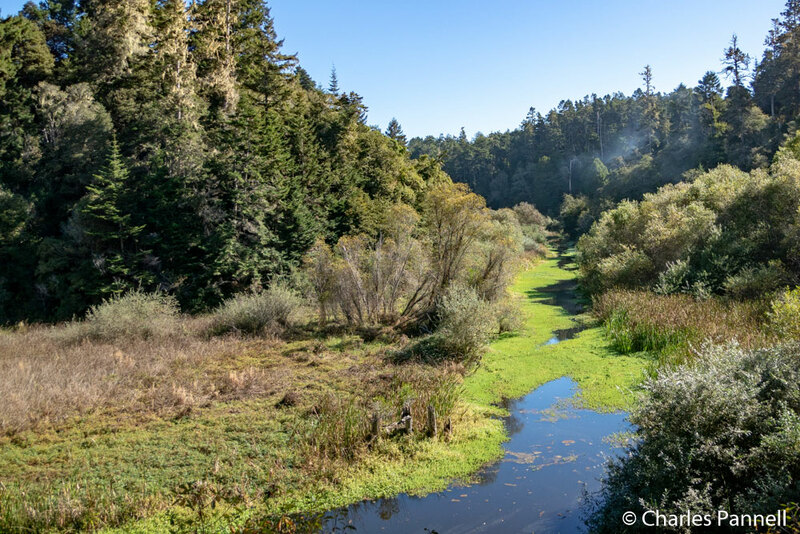 As with real estate transactions, the key ingredient here is location; and in this case, that location is the Little River Inn (www.littleriverinn.com) in scenic Mendocino County. And the great news is, it’s also an excellent choice for wheelchair-users and slow walkers. 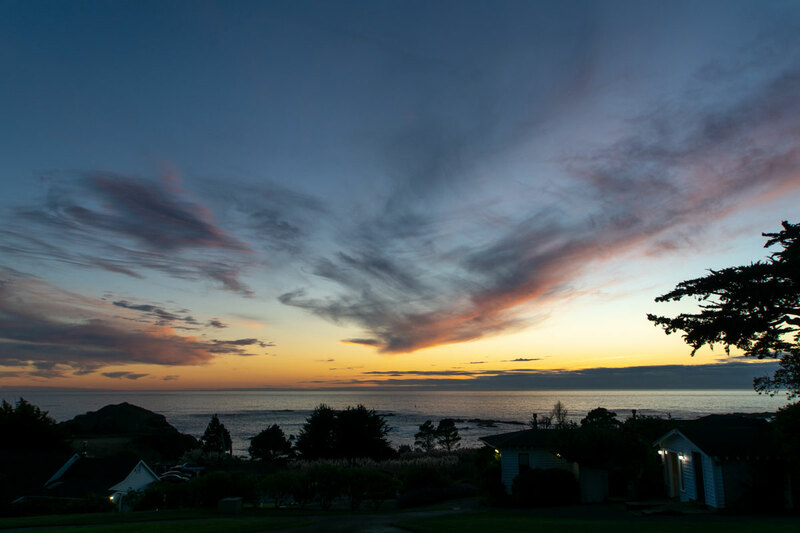 Perched on a hillside with a commanding view of the Pacific Ocean, the Little River Inn is one of the oldest properties in the area. It was built in 1857 by Ole Coombs, and it remains in the family today. In fact, the Combs family is very proud of their “five generations in the hospitality business”. And their experience definitely shows in their excellent customer service. 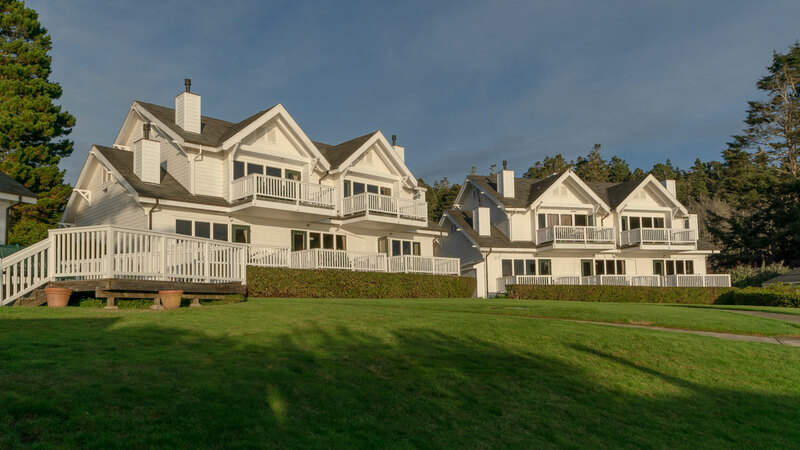 The 65-room property, which is set on 225 wooded acres, now also boasts luxury suites and spacious cottages, along with a nine-hole golf course, tennis courts and even a salon and day spa. Access upgrades have also been added over the years; in fact the Coombs family did a great job of preserving the ambiance of this historic property, while making it an attractive and accessible choice for customers with mobility issues. The office and registration area is located in the historic building near the front of the property. Accessible parking is located close to the front door; however there are steps up to the front porch. Best bet is to pull around on the left side to access a ramp that winds around to the front porch. From there, it’s a piece of cake, with ramp access to the office, and plenty of room to maneuver a wheelchair inside. 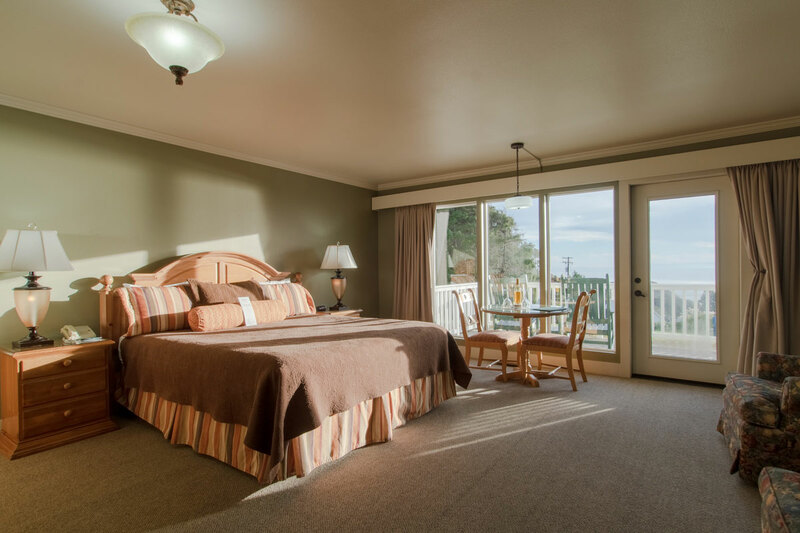 Room 166, which is a accessible deluxe oceanview room, is located near the back of the complex, well away from the main road. Standard parking is located just steps from the front door, and with two spaces reserved for the room, there’s plenty of room to park an accessible van and deploy the lift or ramp. There’s level access to the front door with excellent pathway access in the spacious room. Other access features include wide doorways, lever handles, a lowered clothing rod and low-pile carpet for easy rolling. 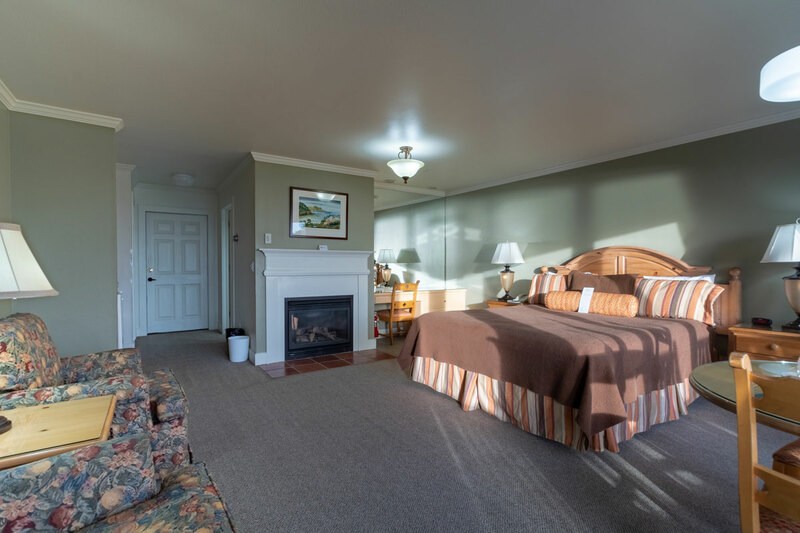 Furnishings include a 25-inch high king-sized bed with wheelchair access on both sides, two night tables, and a desk with a chair. A table and two chairs are strategically positioned by the picture window, and two easy chairs sit near the gas fireplace. Top it off with a wet bar with a refrigerator and a coffee maker and you have everything you need. Best of all, even with all the furnishings there’s still plenty of room for even the largest wheelchair or scooter to maneuver easily around the room. 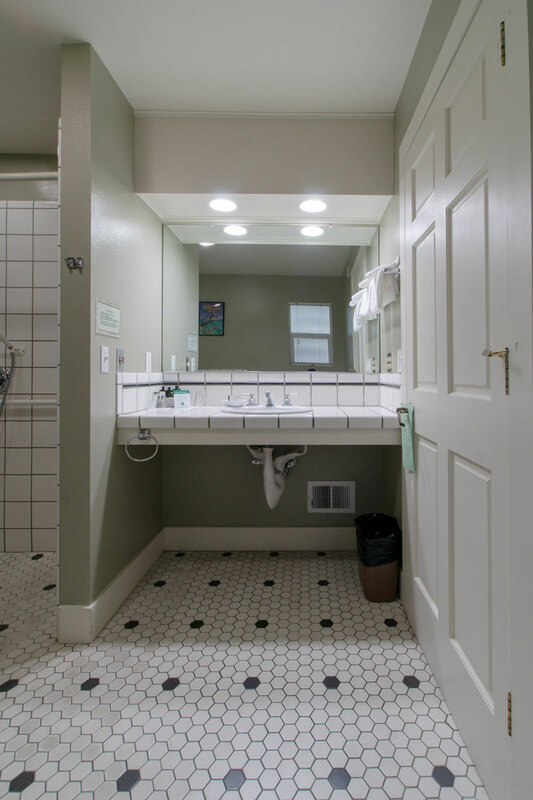 The same is true of the spacious bathroom, which includes a full five-foot turning radius. It’s outfitted with a roll-in shower with grab bars, a hand-held showerhead and a built-in ceramic tile shower bench. 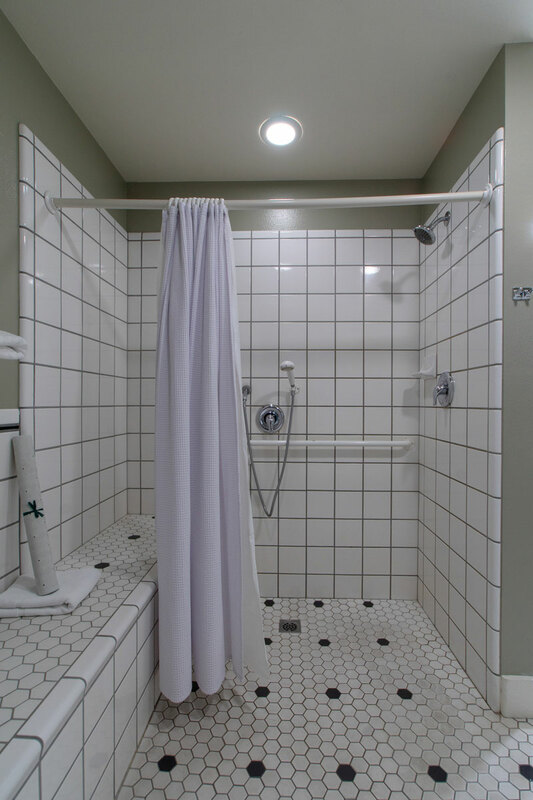 The well designed shower is extremely user-friendly, with the bench located close to the shower controls, and plenty of room for transfers. 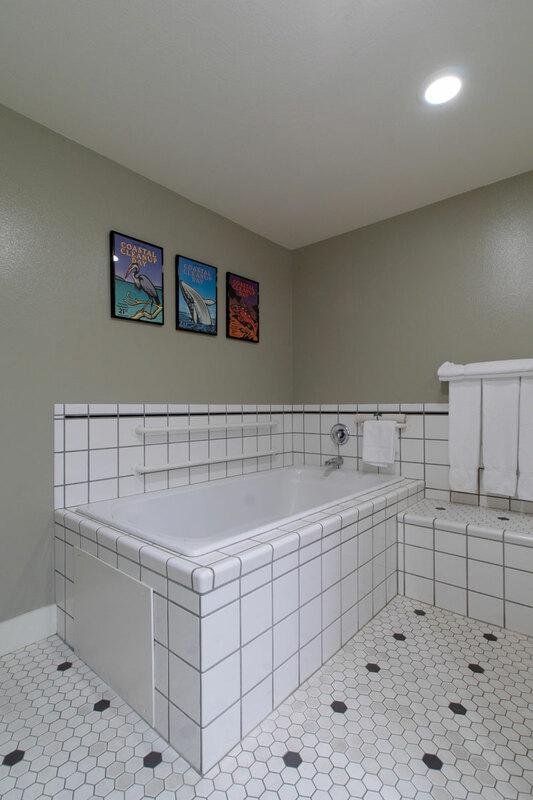 There’s also a separate 22-inch high Jacuzzi tub with grab bars in the bathroom. 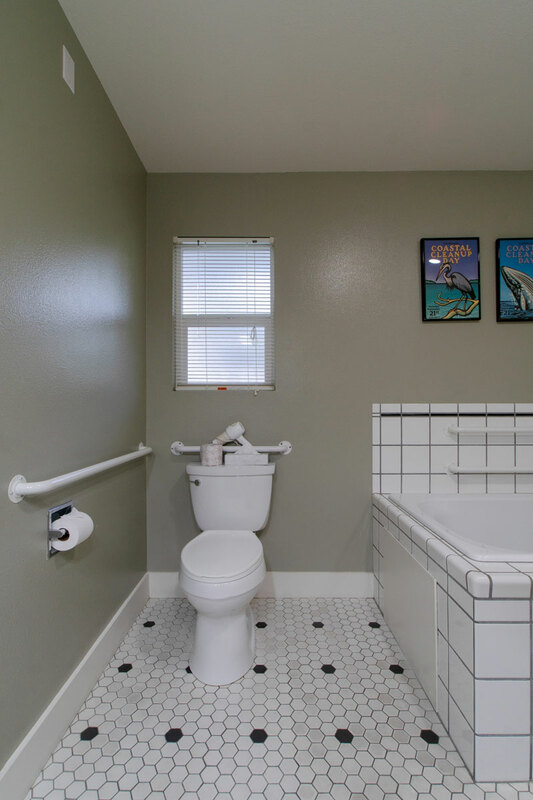 The toilet grab bars are located on the back and right walls (as seated), and a lowered mirror hangs above the roll-under sink. It’s a comfortable room with excellent access, but by far the best feature is the spectacular ocean view from the balcony. There’s level access out to the balcony through a large sliding glass door, and plenty of room to maneuver a wheelchair outside. And if the weather is a little stormy, there’s also a beautiful view from just about any spot in the room. Of course the accommodations at the inn are only half the story, as the Little River Dining Room is also the perfect choice for a romantic dinner. Located next to the office, the restaurant features barrier-free access, with plenty of room to maneuver a wheelchair. 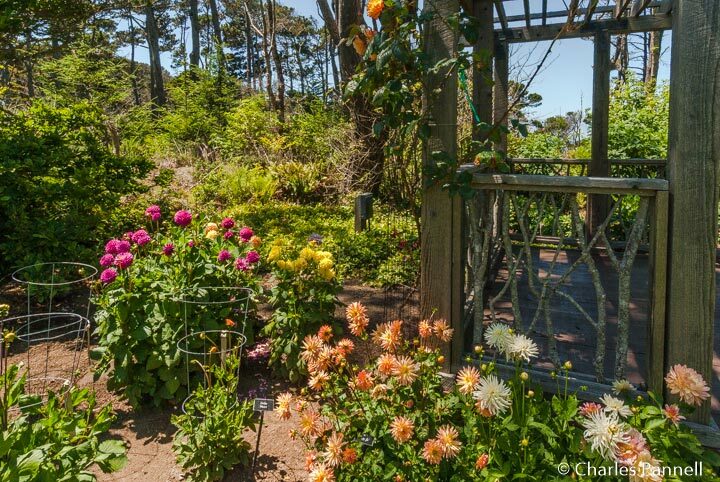 And you just can’t beat the serene ocean and garden views. The menu highlights fresh local fare and includes offerings such as Pinenut Crusted Salmon, Steamed Clam Chowder and Petrale Sole. And if you’d like a smaller plate they even have Bacon Sliders or Steamed Clams. Top it off with homemade Olallieberry Cobbler, and you’ll have a feast to remember. Although the restaurant offers an equally enticing breakfast menu, what would a romantic retreat be without room service? Choose from Eggs Benedict, Huevos Rancheros, a bevy of traditional breakfast favorites and even Swedish Hotcakes. Plus you just can’t beat the romantic ocean view from your room. All in all, the Little River Inn is the perfect place to steal away with your sweetie — on Valentine’s Day, or any day of the year. And if you forget the name of the property, just think of romance and you’ll remember their phone number — (888) INN-LOVE.